The Council of American Overseas Research Centers is now accepting applications for The NEH Senior Research Fellowship Program and CAORC Multi-Country Research Fellowship for the 2018-19 academic year. This fellowship is available for US and Foreign nationals. 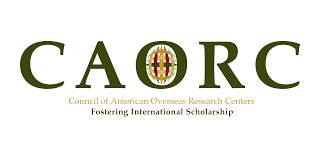 Founded in 1981, the Council of American Overseas Research Centers (CAORC) is a private nonprofit federation of independent overseas research centers (ORCs) that promote advanced research, particularly in the humanities and social sciences, with a focus on the conservation and recording of cultural heritage and the understanding and interpretation of modern societies. Study Subject: The NEH Senior Research Fellowship Program supports advanced research in the humanities whereas The Multi-Country Research Fellowship Program supports advanced regional or transregional research in the humanities, social sciences, or allied natural sciences. Fields of study include, but are not limited to, history, philosophy, religious studies, literature, literary criticism, and visual and performing arts. CAORC Multi-Country Research Fellowship: The Multi-Country Research Fellowship supports advanced regional or trans-regional research in the humanities, social sciences, or allied natural sciences for U.S. doctoral candidates, and postdoctoral scholars. Scholarship Award: Fellowship stipends are $4,200 per month for a total of four consecutive months. CAORC Multi-Country Research Fellowship: Approximately eight awards of up to $10,500 each will be given each year. Nationality: This fellowship is available for US and Foreign nationals. Number of Scholarships: Two NEH Senior Research Fellowships are available and Eight Multi-Country Research Fellowships are available. Scholarship can be taken in Applicants must propose four consecutive months of research in an American overseas research center in one of the following countries: Algeria, Armenia, Azerbaijan, Cambodia, Cyprus, Georgia, Indonesia, Mexico, Mongolia, Morocco, Nepal, Senegal, Sri Lanka or Tunisia. Eligible Countries: This fellowship is available for US and Foreign nationals. Applicants must be U.S. citizens or foreign nationals who have resided in the U.S. for three years prior to the application deadline. Applicants must be postdoctoral scholars. Funding is not available for research conducted in the U.S. It is not required that you be affiliated with a U.S. academic institution to apply. Fellowship awards will not exceed $10,500. Group projects are admissible and will be evaluated as a single application. Groups should submit one (1) application for the group project and Curriculum Vitae for each member of the group. Two (2) letters of recommendation are required for the group. If awarded, a single grant of $10,500 will be issued to the group. It is not required that you be affiliated with a U.S. academic institution to apply. As long as you are a PhD candidate at an accredited university, or have already earned your PhD, you are eligible for the fellowships. PhD candidates must be ABD (all but dissertation) by May 2019. You must sign up for a free account to access the application materials. This will allow you to save and return to your application before submitting. Please save your login/password information for future applications. Project Description: In 1500 words or less, please describe the nature of your proposed project and your competence to carry out the required research. State your research question and the methods and procedures you will use to conduct your research. Be sure to describe the proposed methodology in clear terms. Give the reasons why your project requires your presence in the countries indicated, and note the facilities (e.g. libraries, museums, archives, field sites) that you plan to use while conducting your research. What relationship will you have with the host-country overseas research center? Finally, indicate the extent to which you have investigated other funding sources. Please note that those judging your application may not be specialists in your field. Please limit your narrative to 12-point font and 1-inch margins. Footnotes do not count against the word count. Project Bibliography/Literature Review: You must submit a one-page bibliography or literature review outlining your project resources. CAORC does not have a preference for one format over another. Please clarify primary and secondary sources, and – where applicable – locations of listed material. Please note that additional pages will not be submitted to the review committee. Letters of Recommendation: You must have two (2) letters of recommendation. You will be able to send a link to your recommenders via CAORC’s online grant portal, Fluid Review, and they will then be able to upload their letters. All references must be in English. Do not submit more than two letters of recommendation. Curriculum Vitae: Three (3) pages maximum. Additional pages will not be submitted to the review committee. Please ensure that prior awards and language capacity are clearly noted. Project Description: In 1500 words or less, please describe the nature of your proposed project and your competence to carry out the required research. State your research question and the methods and procedures you will use to conduct your research. Be sure to describe the proposed methodology in clear terms. Give the reasons why your project requires your presence in the countries indicated, and note the facilities (e.g. libraries, museums, archives, field sites) that you plan to use while conducting your research. What relationship will you have with the host-country overseas research center(s)? Finally, indicate the extent to which you have investigated other funding sources. Please note that those judging your application may not be specialists in your field. Please limit your narrative to 12-point font and 1-inch margins. Footnotes do not count against the word count. Letters of Recommendation: You must have two (2) letters of recommendation. You will be able to send a link to your recommenders via the online grant portal, Fluid Review, by entering their contact details and they will then be able to upload their letters. All references must be in English. Do not submit more than two letters of recommendation. PhD candidates must have one letter from an Academic Advisor with a signed Academic Advisor form. Please inform your academic advisor that the will need to complete the form the CAORC online grant portal, Fluid Review. Transcripts: PhD candidates only. Please submit transcripts from your most recent institution.